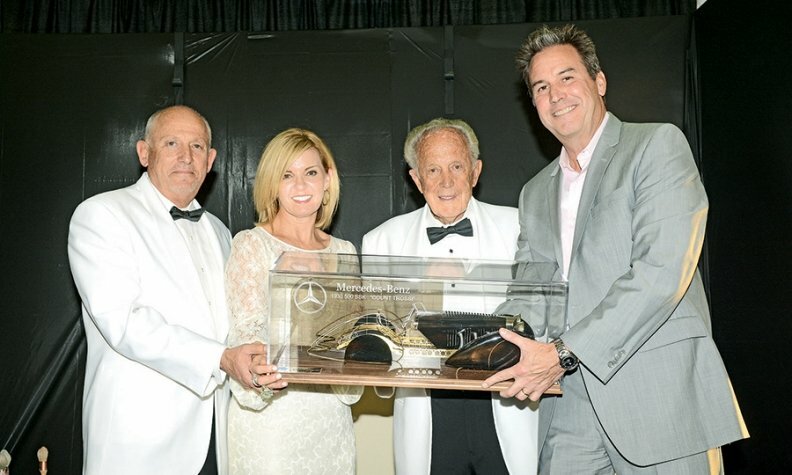 Walter Kienle, dealer principal of Walter’s Automotive in Riverside, Calif., receives a 50-year award for Mercedes-Benz. Pictured, from left, are Steve Kienle, general manager; Dawn Ringo, Mercedes-Benz USA’s area manager; Walter Kienle; and Chuck Schofield, Western region manager for Mercedes-Benz Financial Services. 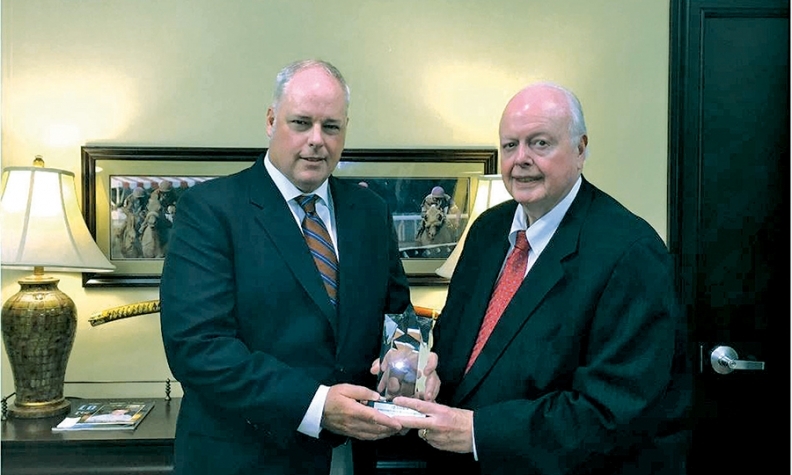 Tracy Farmer, right, dealer principal of Oxmoor Toyota in Louisville, Ky., received a 25-year award from Toyota Motor Sales U.S.A. He is with his son, Del Farmer, director of operations. The Mercedes-Benz Dealer Board and a Mercedes dealer in Charleston, S.C., are donating a total of $100,000 to establish a scholarship fund for the families of the nine people killed in the shooting at the Emanuel African Methodist Episcopal Church in Charleston on June 17. Tommy Baker, owner of Baker Motor Co. in Charleston, requested that the board earmark the balance of a charitable fund, $91,496.55, to establish the scholarship fund. Board members unanimously agreed, and Baker kicked in $8,503.45 to bring the total to $100,000. Jason Hulett of Hulett Chevrolet-Buick-GMC in Camdenton, Mo., was elected chairman of the Missouri Automobile Dealers Association. The other new officers are Bob Beine of Republic Ford in Republic, chairman-elect; Dave Mungenast Jr. of Mungenast Automotive Family in St. Louis, vice chairman; and Stephanie Porter of Thoroughbred Ford in Kansas City, treasurer. 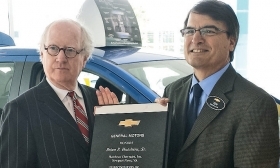 Brian Hutchens Sr., left, dealer operator at Hutchens Chevrolet in Newport News, Va., receives a 25-year award from Tom Saltarelli, Chevrolet zone manager in General Motors' Southeast region.